WE CAN INSTALL BATH TUB WITH DOOR, OR CONVERT FROM BATH TUB TO SHOWER, OR INSTALL DOOR TO YOUR EXISTING BATH TUB. INSTALLED FOR FRANK SISTI. IT HAS SEAT AND AIR JETS. 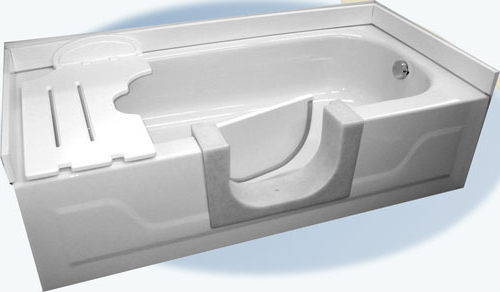 WE CAN INSTALL DOOR AND/OR CUSTOM MADE SEAT TO YOUR EXISTING BATH TUB.